BMW vehicle owners have a lot of concierge perks that comes along with the ownership of their luxury ride. Now that can harness the power of certain mobile phones to aid them get assistance in the event some minor or catastrophic event happens – such as getting a flat or something more serious. 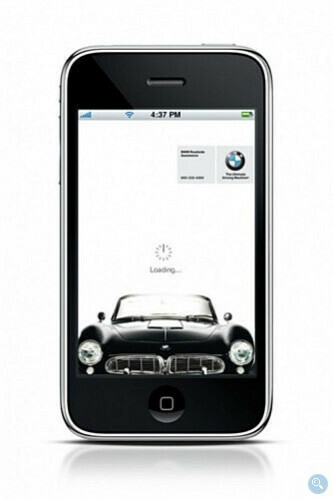 BMW released their Roadside Assistance app to a mix of smartphones such as the iPhone, BlackBerry, and Android handsets. After registering specific pieces of information regarding your vehicle, the app allows for such services to be directly accessed on your smartphone such as Roadside Services, Dealer Locator, Service Details, and VIN Registration. Additionally, it'll offer features similar to what Ford's Sync service provides like BMW Assist speed dial for remote lock and stolen vehicle recovery. Minor and major car problems can some times cause drivers to panic in certain situations, but this app was intended to increase dispatch time by about 60 percent – so it'll come handy in just about any situation you find yourself clueless on what to do. Not all devices running the specified platforms will be able to run the app, so check out the web site to make sure that it's supported.